But before starting the after-kite programme, back to Mr. Wind, or is it Ms. Wind? Princess Nortada; an anti-cyclone over the Azores added to a thermal low and local effects. Shaken, not stirred. The further East you go, the warmer the water will get, which means board shorts in summer the more you go towards the Spanish boarder. Approaching the Atlantic, the more wave s you get, and the colder the water: in general, this means shorty or board shorts from Portimão eastwards, and long wetsuit along the West coast of Portugal. In the West of Algarve, wind is strongest between Portimão and Lagos, mostly coming from North/Northwest and strongest in the afternoon. I have found a good explanation on weather effects in this region here. 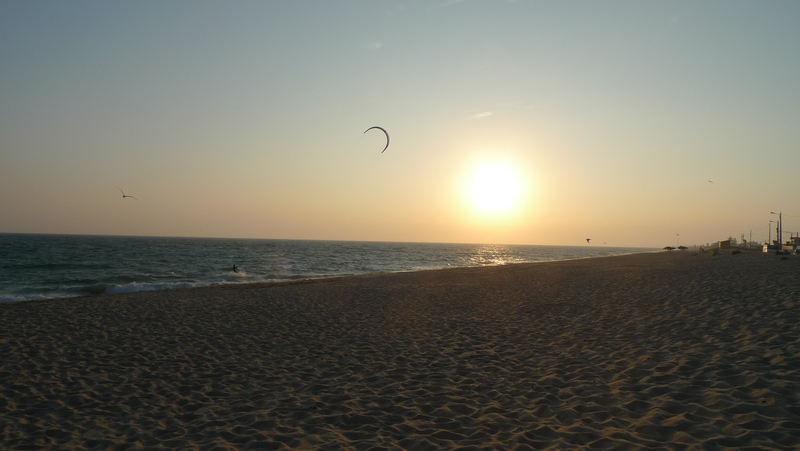 Along this stretch of land, kitesurfing is best in Alvor. Alvor beach (Praia de Alvor) is not for beginners. You should be able to stay upwind, as wind mostly comes side-off. Downwind, you end up in multi-colour parasol area. Freestylers will love the spot as there is only little swell. At the westernmost end, you even have lagoon-flat water. Once you get southerly winds, there are more waves. You love the lagoons in Brazil? Here we go; Algarve has them, too! 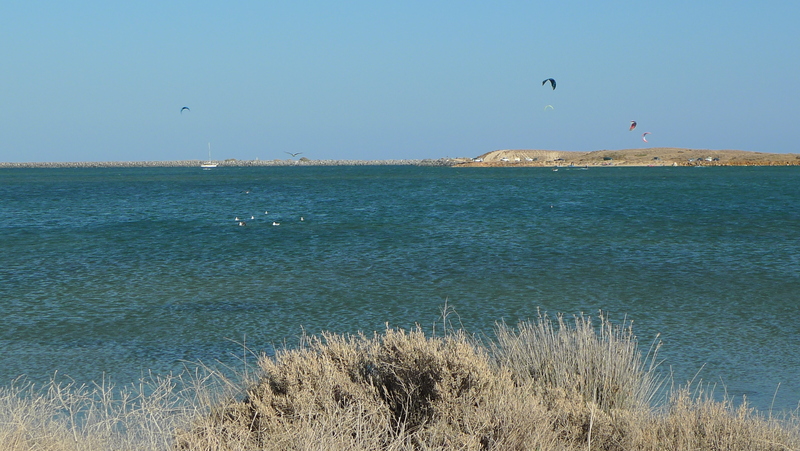 You can access “the lagoon” in Alvor from the kite spots Meia Praia (coming from Lagos) or Ria de Alvor (coming from Alvor beach parking area). Both are located next to the river mouth. Wind is a bit gustier than on the beach because of the upstream hill. 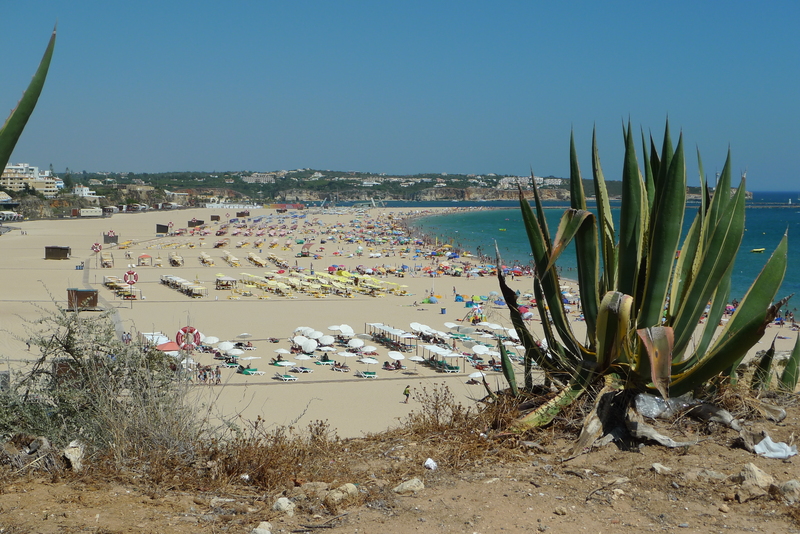 Going to Ria de Alvor from Alvor beach, you have a 1.5 to 2 km walk. Meia Praia is exactly on the opposite side of the river mouth and can only be reached by car, partly off-road (no 4WD though). Coming from Portimão and Alvor, follow black-white signs towards Figuera/Lagos, in Odiáxere towards Vale da Lama, and then the kites you see far away. It’s almost as packed as the most famous lagoons in Brazil, and the favorite teaching spot for nearby kite schools. Talking about black-white signs in general; stay on N125, which is free of charge, and don’t follow blue signs indicating the motorway. It’s very expensive, and you are not much quicker than on N125. Not to forget: Alvor has a good nightlife, too! Opposite to the river mouth east of Portimão’s Praia da Rocha, there is Farragudo with a nice beach bar, Club Nau; food is a bit overpriced, but it’s pretty good for an after-kite drink. Kitesurfing on this beach only works in winter months. 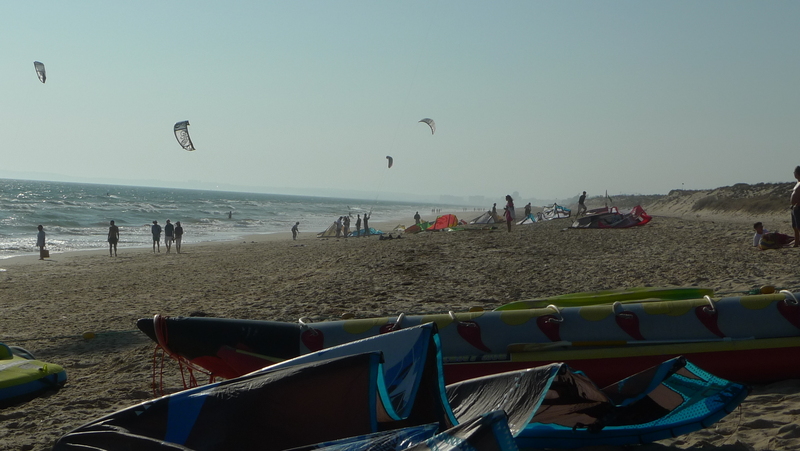 Same at looooong Praia da Rocha; There are no kitesurfers in summer months due to too many non-kiters on the beach. 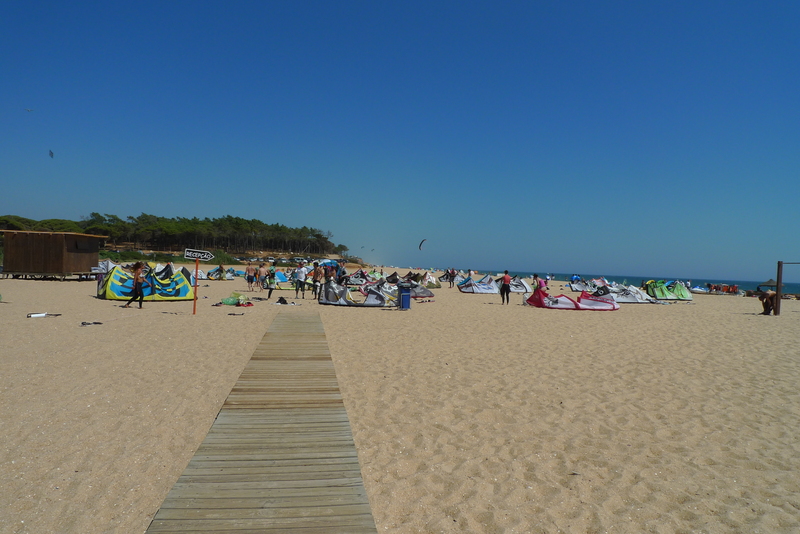 Martinhal and Tonel in the very West of Algarve are dedicated to the windsurfers and non-kity beach lovers. On windless days, Tonel is good for SUPing and surfing, though. The beach Praia da Bordeira next to Carrapateira is the nearest spot to Algarve on the West coast and a Big-Wave-Spot, also famous among surfers. North-Northwest is coming in onshore in summer. 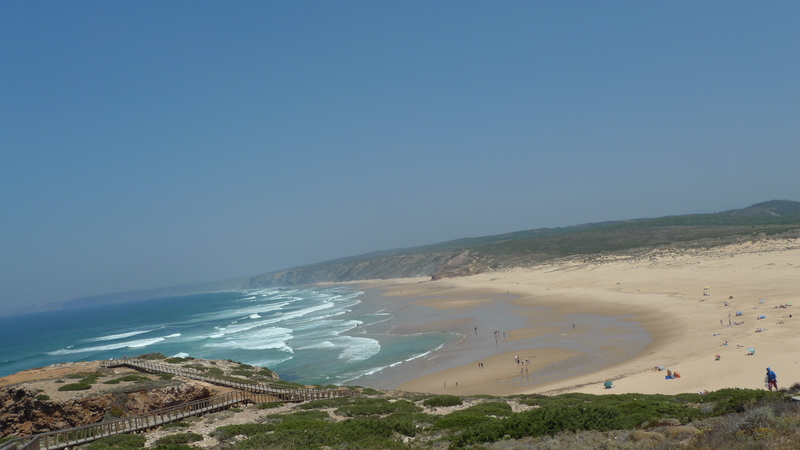 At Praia da Armado, Northwest brings less strong side-shore winds in summer most of the time. 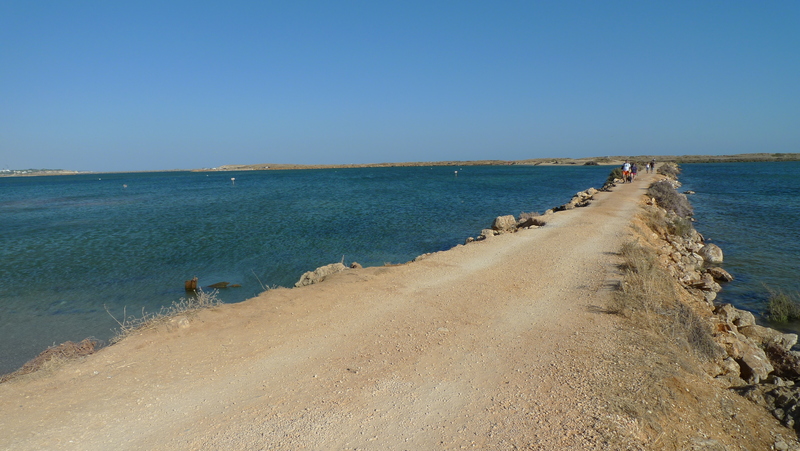 Around Faro and further eastwards, direction Spanish boarder, you find a lot of off-shore sandbank-style islands with flat-water. South-Southwesterly works best, and you get it on most days in the summer in the afternoon. Due to little chop, its freestyle paradise and good for beginners. 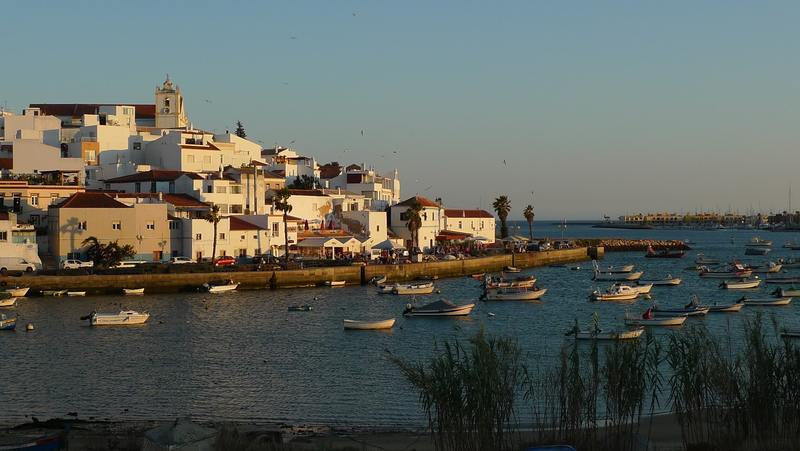 On Ilha de Faro, just a fiv e minutes drive from Algarve’s main airport FAO over a little bridge, you have the city kite spot. It’s located on the very eastern end, turning left after arriving on the island. After the sundowner, check out “zé maria”, a very good fish restaurant, famous among the locals, with view to kite beach. There is very good wind in Cacela Velha, Cabanas and Praia da Manta Rota. Also Praia de Fuseta and Armona are good. Along the beaches on the islands without direct access by car, just take a local boat for little money. You won’t find a lot of kiters t here. 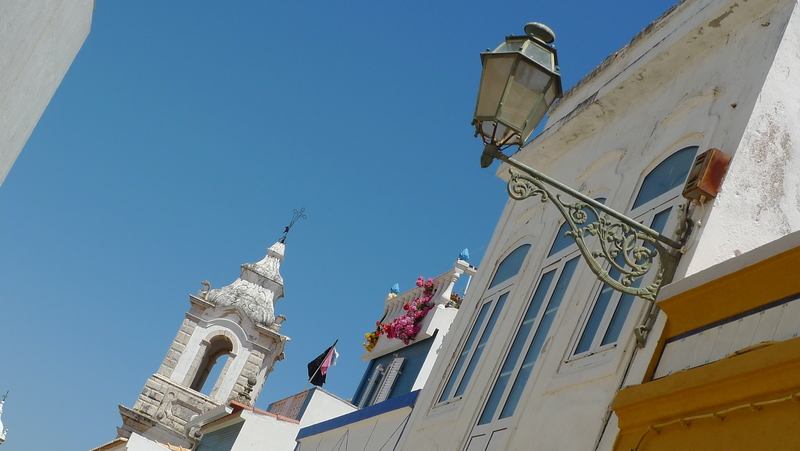 The area east of Faro is more genuine and less touristy than the west of Algarve. If you look for a local kite contact, Santa from Santa Kite School might be the one. He also organizes downwinders from time to time. 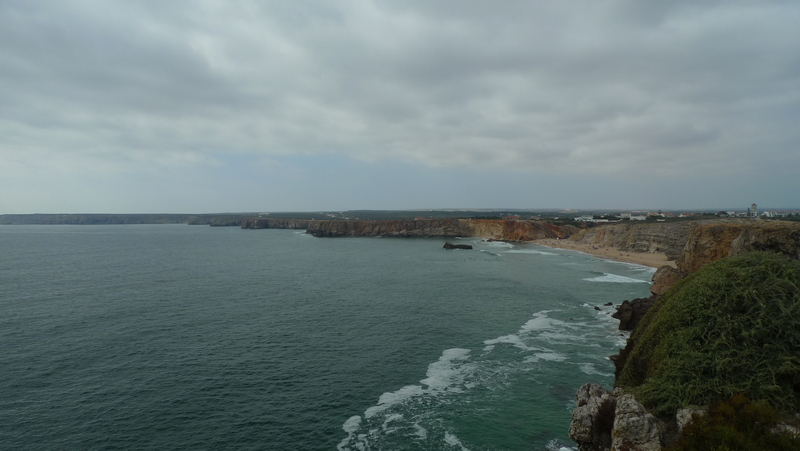 I had the pleasure to participate in one from Praia do Forte Novo to Praia da Quinta do Lago. Wind on all kite spots is predominant in the afternoon hours; which makes Portugal a good destination for people who also wanna enjoy some culture, the mountains behind, or just relax during the rest of the day. 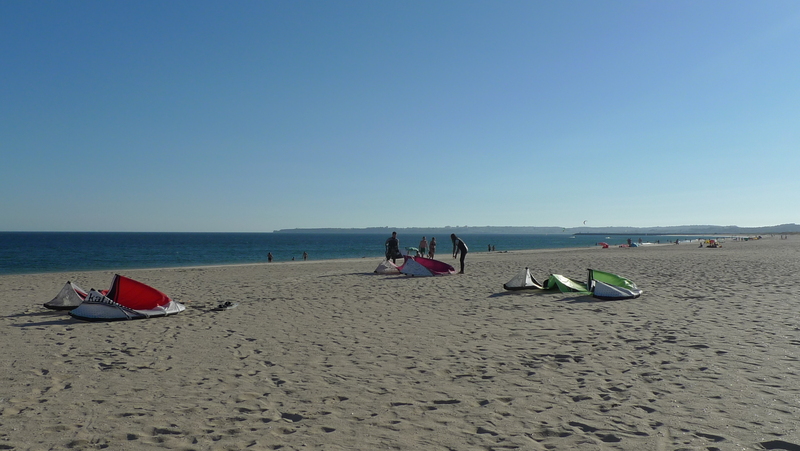 Apart from Alvor lagoon, there will not be many kiters on many beaches, and you can enjoy the space. Ah, one more thing: I am stoked by the Portuguese people I met. They are incredibly nice and helpful, speak very good English (and other languages), and Portugal is super-safe. I will for sure return for sun AND wind guarantee!